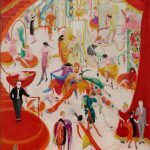 Tracing the movement of Stettheimer’s works brings into view a variety of previously unexamined venues in which art and commerce converged. . . . This essay reveals the previously overlooked diversity of Stettheimer’s exhibition practices and argues that the period’s lack of rigid boundaries between art and commercial culture resulted in nuanced class and gender-based mingling and sorting, not democratic equivalence, within the spaces of early twentieth-century American modernism. 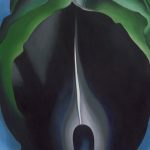 O’Keeffe, Stettheimer, Torr, Zorach: Women Modernists in New York at the Portland Museum of Art brings together the art of four American women artists who worked in New York City from about 1910 to 1935.